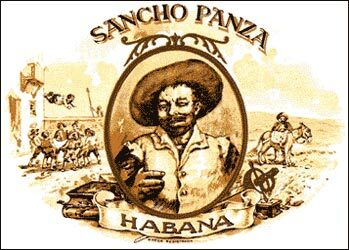 In the year 1848 the "Sancho Panza" brand was registered under the name of Don Emilio Ohmsted. This brand was acquired several times by different producers. This cigar seems to be thinner in texture, but it is only due to a lengthier process of ripening of the leaves. "Sancho Panza" has high quality and tremendous appearance.